In today’s society, you don’t have the time to turn a big ship slowly. You have to do it efficiently and effectively, and that’s where we see analytics within Adaptive Insights as a true driving force. In a minute-by-minute news environment, viewership data influences more than just programming. Fluctuating television ratings also affect advertising and revenue. Monitoring that impact requires quick access to performance analytics across all departments. That’s exactly how Bonneville International, a Utah-based broadcasting company, has been able to make several revolutionary business decisions. One such decision was to move some of its regional radio shows from the AM to the FM dial, which the company decided upon with the help of faster, more dependable historical and real-time data via the Adaptive Suite. Bonneville International Corporation owns and operates radio and TV stations in the Los Angeles, Seattle, and Phoenix markets. Its radio stations broadcast news, traffic, weather information, music, and sports talk programming. Its television stations broadcast news and entertainment shows. The company was founded in 1964 and is headquartered in Salt Lake City. The broadcast media landscape changed significantly when an economic recession caused a dramatic, industry-wide drop in marketing spend. The recession also came at a time when alternative methods of marketing like digital and online ads were coming into play. "Those two factors created much slimmer margins throughout our industry," Nate recalled. "We were forced to evaluate how we could be profitable in this new type of environment." That evaluation was the tipping point of change. As part of a new profitability strategy, the company invested in modern, cloud-based performance management technology from Adaptive Insights that has since helped the team to create a centralized source of performance metrics for smarter, faster, more efficient use of data. The investment has become a true business edge according to Nate, helping the company make several key, revolutionary moves in the media industry. Using analytics on audience listening habits, Bonneville learned earlier than most that an increasing number of listeners were moving away from the AM dial. As a result, the company was the first to move news talk radio from AM to FM. And later, when the analytics in its Phoenix market showed that less than 20% of men in the market listen to AM radio, the company again switched its Phoenix sports talk show to FM. "These early moves allowed us to dominate for a period of time before others figured it out," Nate said, explaining how consolidating historical data from each market has helped the team to more easily predict trends and make early decisions. "All of our historical data from ratings, to revenue sources, to average unit rates, to inventory utilization live in Adaptive. In the case of our Phoenix market, we used that consolidated data view to also build scenario models in Adaptive, which helped us decide to make the change to FM. It's been a great move for us." Historically, Bonneville has segmented analytics by individual departments and locations. With its new system of analytics, the team can cross-pollinate information and evaluate important pieces of data from an entire business perspective, not just from the view of a single function. For example, the Bonneville programming group was once the only team that would monitor and utilize ratings data. But that information is also important to sales and finance teams at the forefront of generating revenue and managing expenses. Today, with historical data from each market consolidated in Adaptive, multiple department leaders can access and evaluate their performance based on the same information. This modern, cross-functional use of analytics has given the team a new, faster capacity to identify and respond to risks and opportunities. According to Nate, that's an invaluable benefit in today's media market. "We used to be able to make changes slowly and survive," he said. "But in today's society, you don't have the time to turn a big ship slowly. You have to do it efficiently and effectively, and that's where we see the analytics we get from Adaptive Insights as a true driving force." Operational managers at Bonneville no longer wait for finance to run reports. They have constant access to information they need, and they're each accountable for creating, managing, and making decisions based on their own financial budgets. That high participation has shifted the entire business discussion from an instinctive one, to a data-driven dialogue deeply rooted in numbers that employees trust. "Our people are skilled and experienced in the industry, so most of what they did was based on that experience," Nate explained. 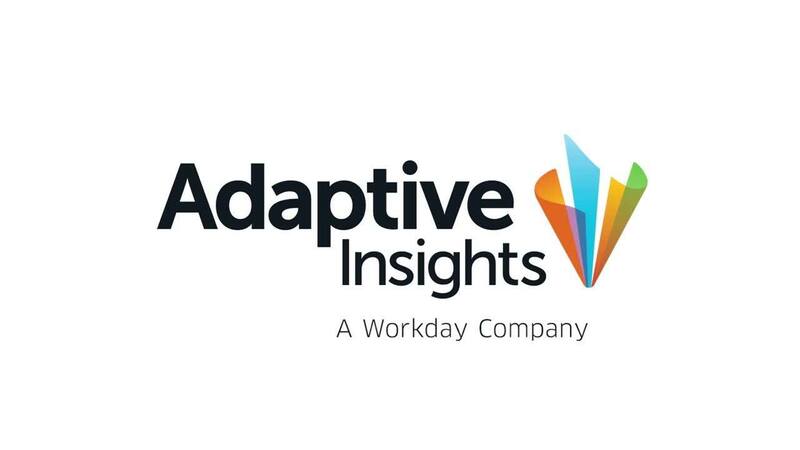 "With Adaptive Insights, we've opened-up new ways for them to look at information and shifted the conversation from, ‘What do you think ratings will be next year? ', to ‘We know that the ratings in February are X, so we know the impact is going to be Y three months from now.' It's a much more precise methodology." The company's new methodology is only possible if the data is easily accessible, with access controls for how the data is presented to particular people and teams. "We specifically chose a cloud solution because we wanted control of our own environment," said Nate. "We wanted a turnkey solution to put on top of our data so we could analyze the business on our own and become more efficient. That's exactly what we got with Adaptive, and that's a huge competitive advantage for us." We specifically chose a cloud solution because we wanted control of our own environment. We wanted a turnkey solution to put on top of our data so we could analyze the business on our own and become more efficient. That’s exactly what we got with Adaptive Insights, and that’s a huge competitive advantage for us.